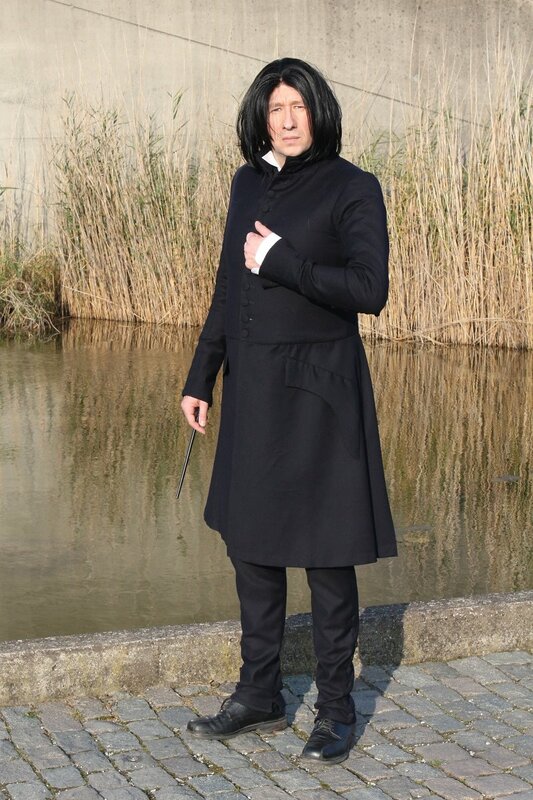 The frock coat and pants are made of black wool with a violet tint. 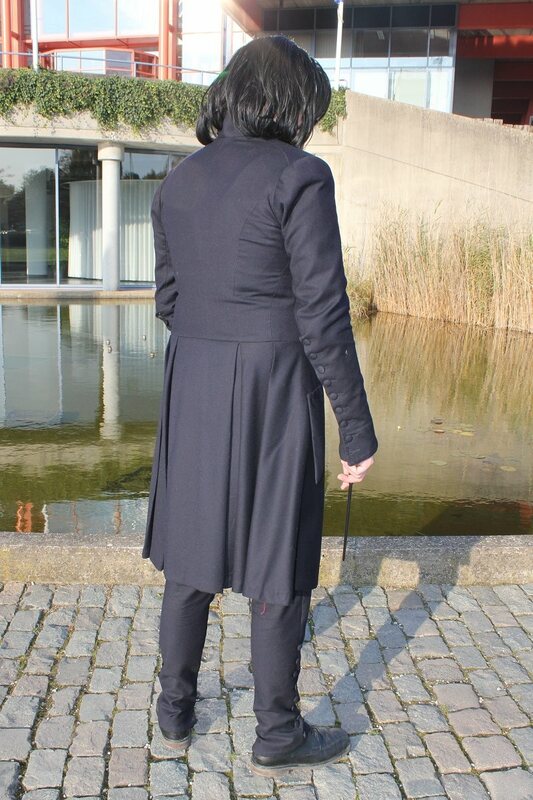 The frock coat has a waist and ‘Vienna’ seams in the back. 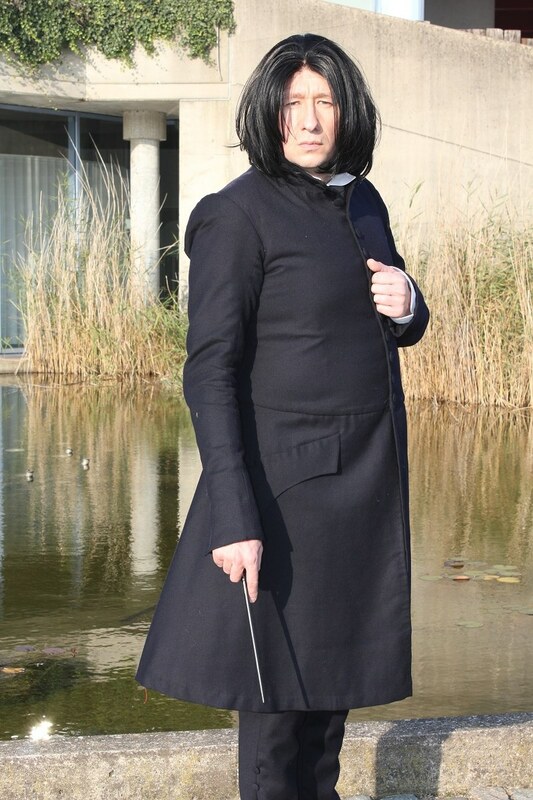 The ‘skirt’ part of the coat is self-lined. 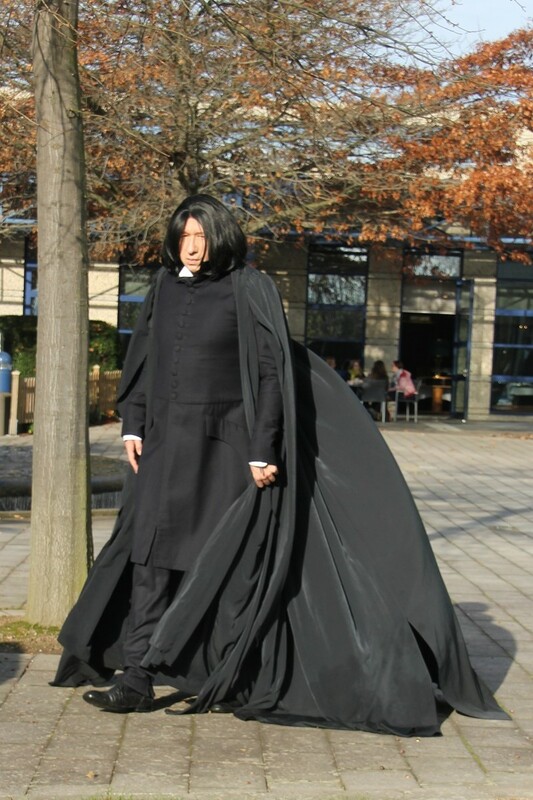 The rest of the coat and the pants are lined with black taffeta. 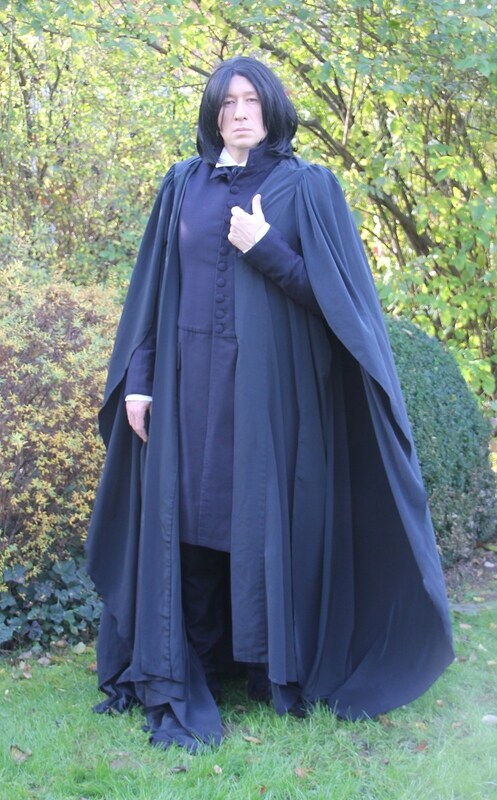 The sleeve and front closure are buttoned with wool covered buttons. 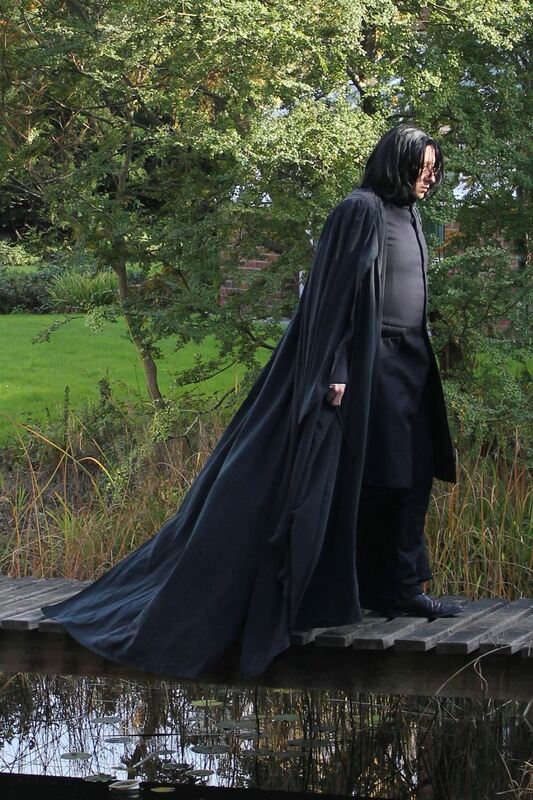 The wool covered buttons at the bottom of the pants are just fake. 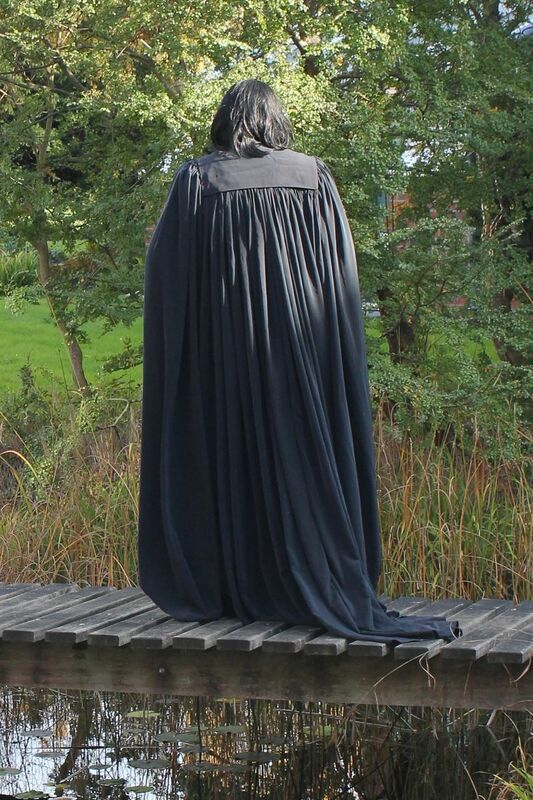 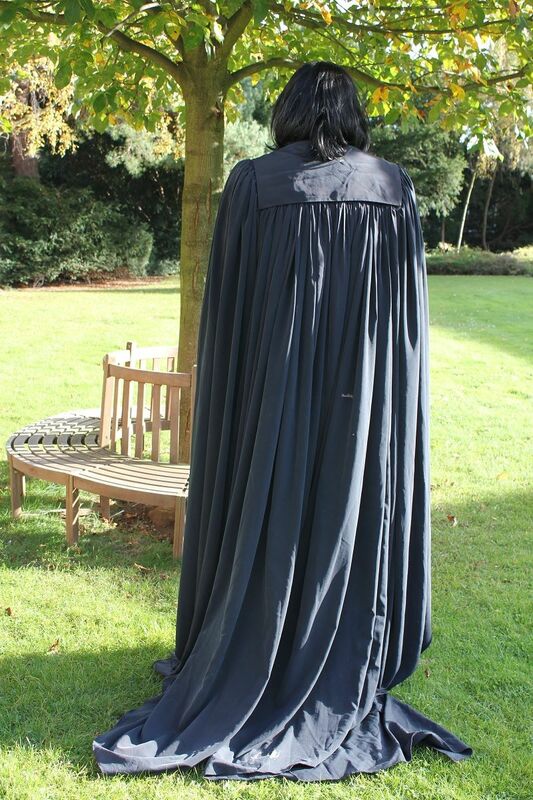 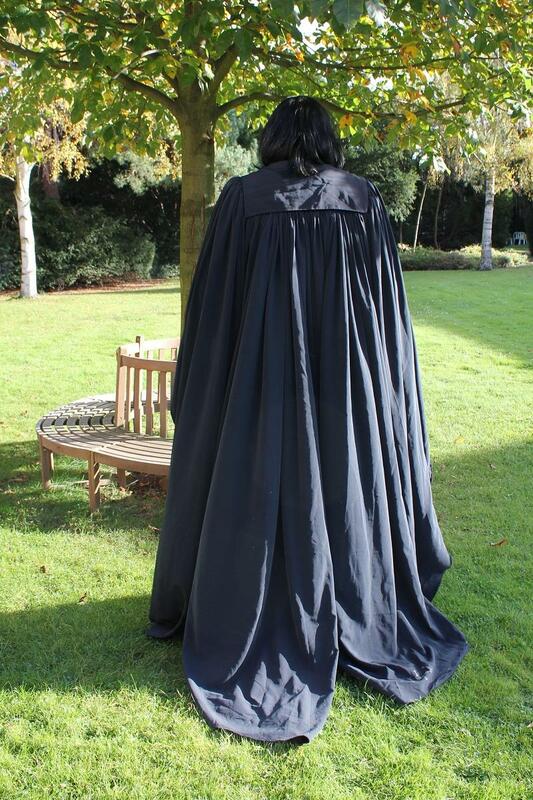 The robe is made of a huge amount of black microfibre. 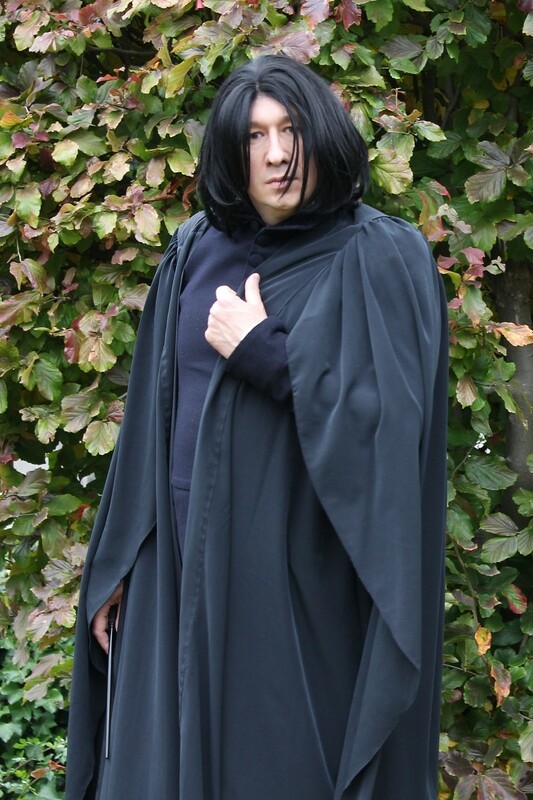 It’s constructed like an academic talar and is unlined. 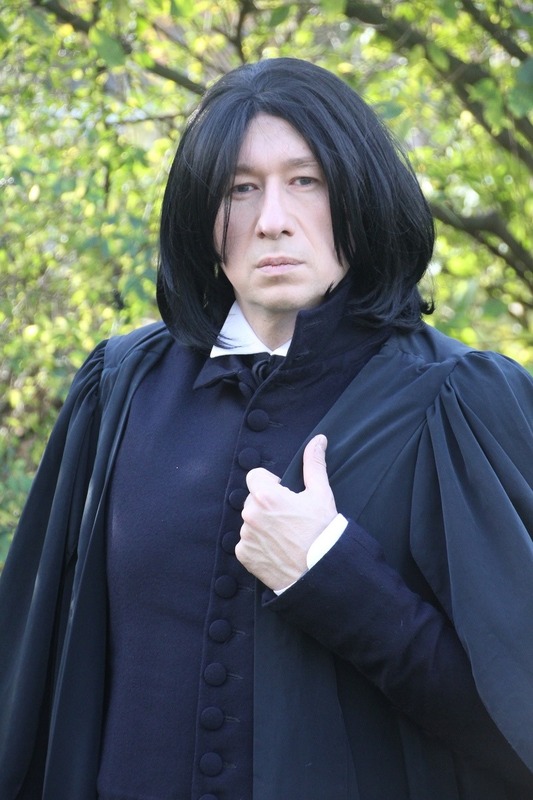 I wear a black wig with the garment. 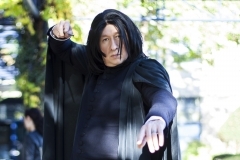 The wand is official merchandise. 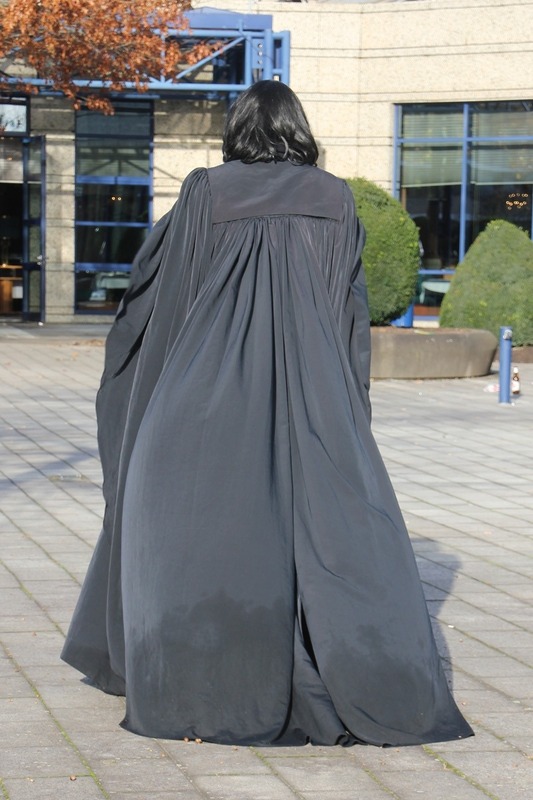 The frock coat and robe are made of a dear friend of mine, Sven L. Weber from Tygron Design. 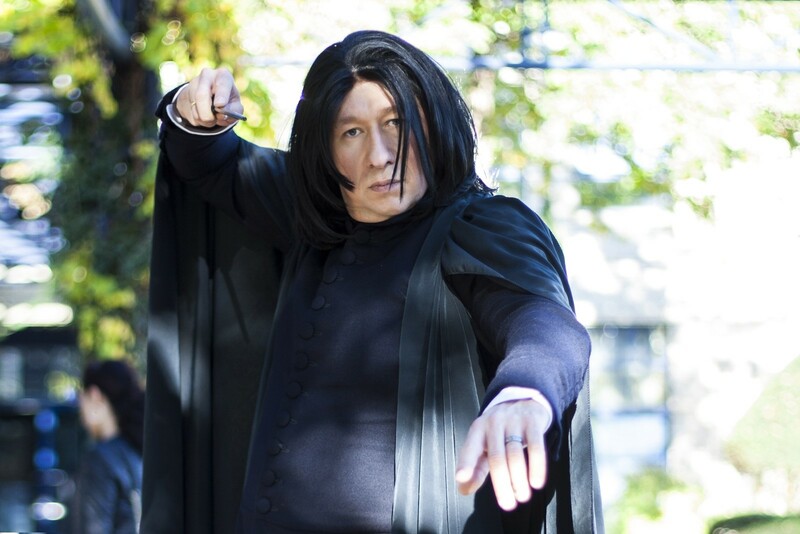 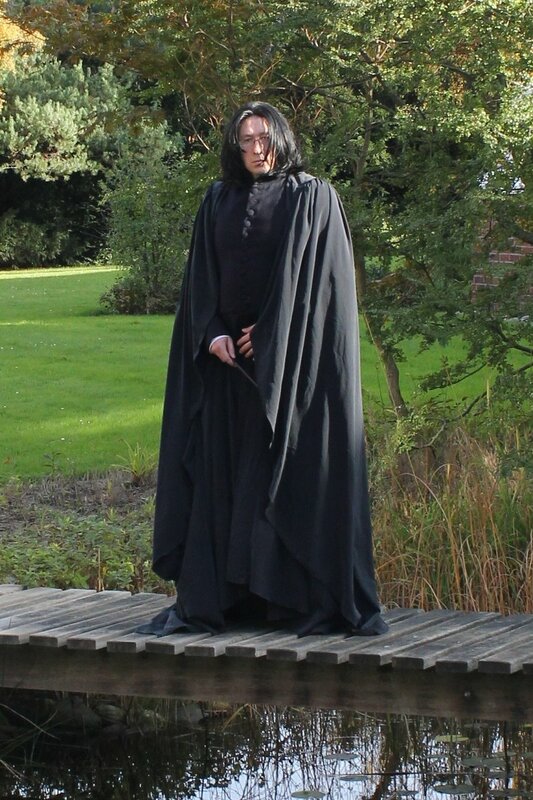 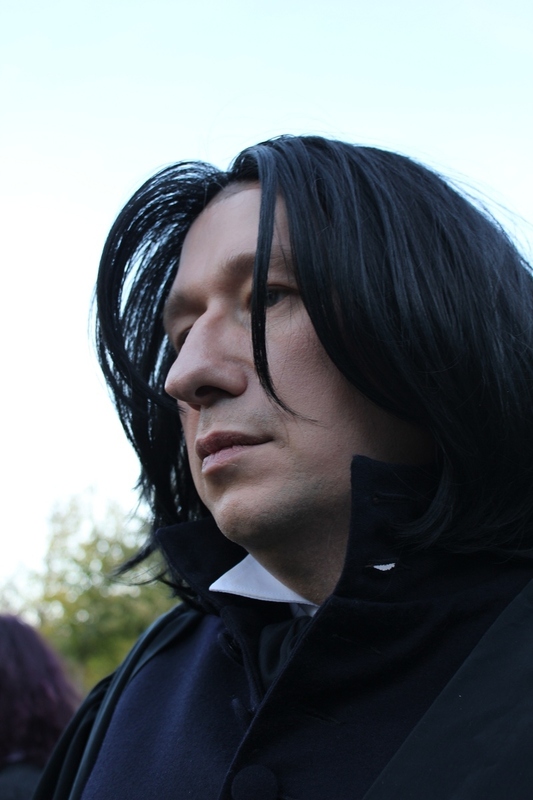 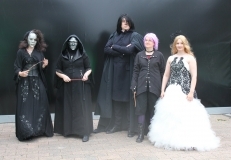 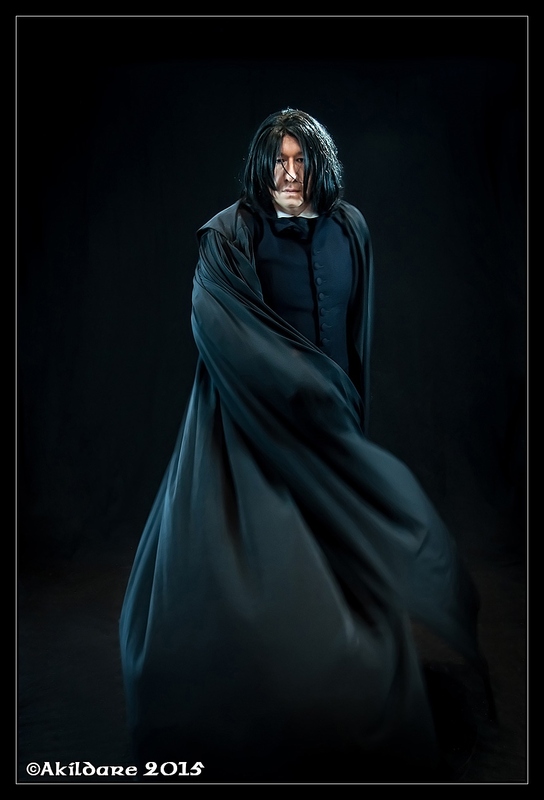 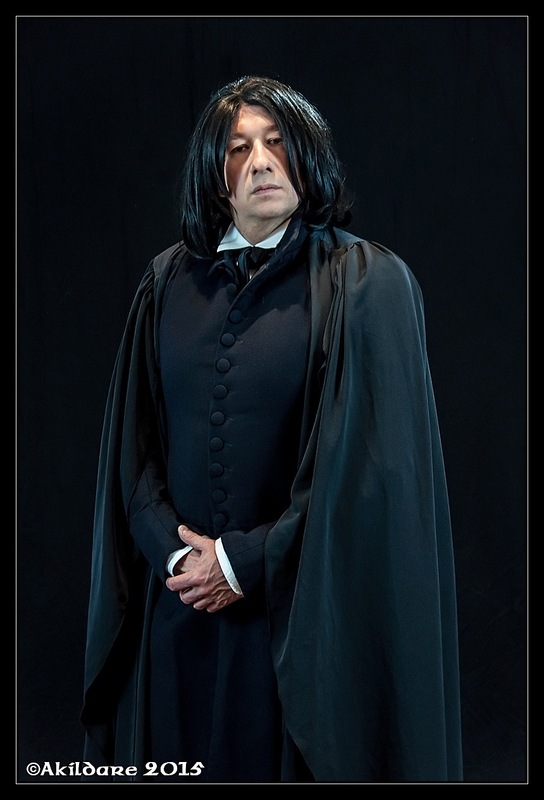 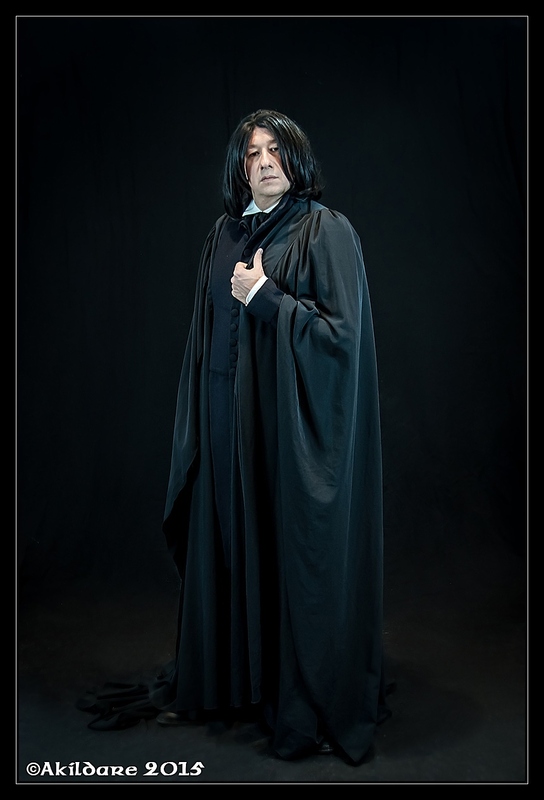 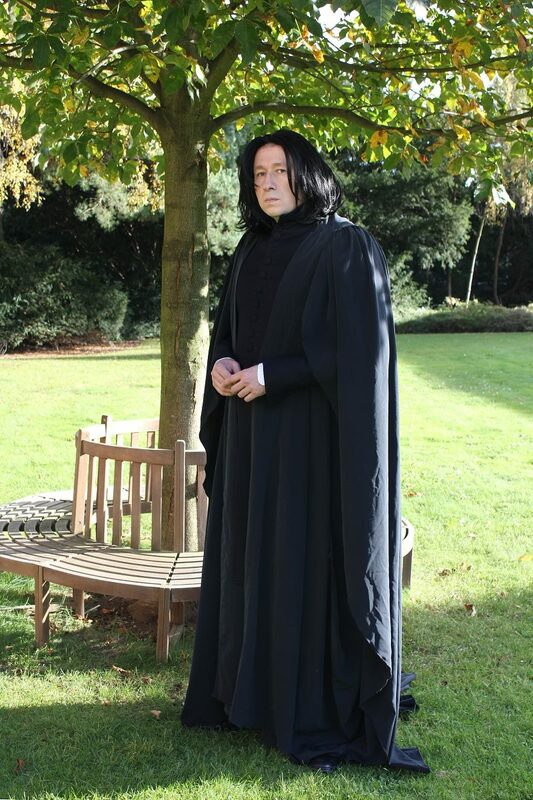 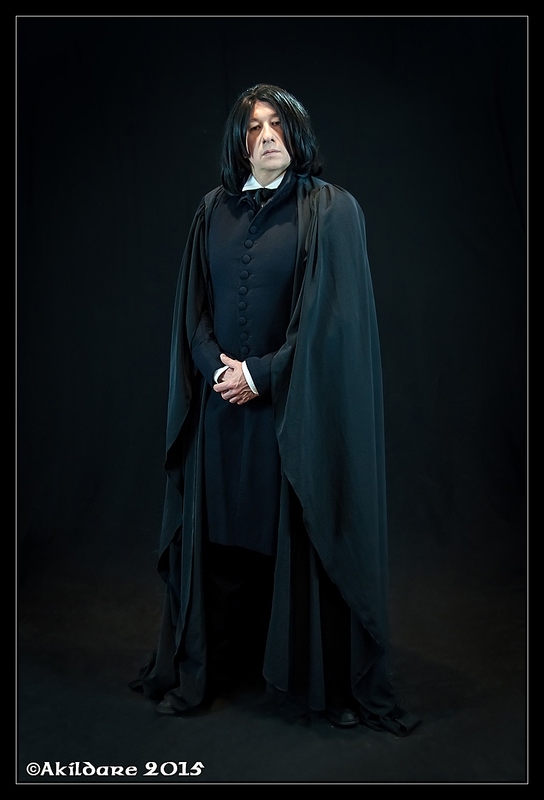 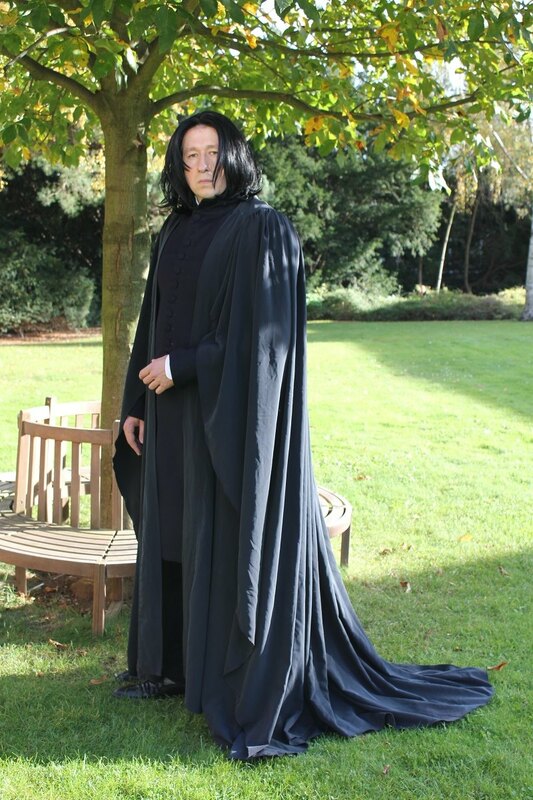 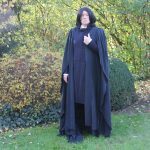 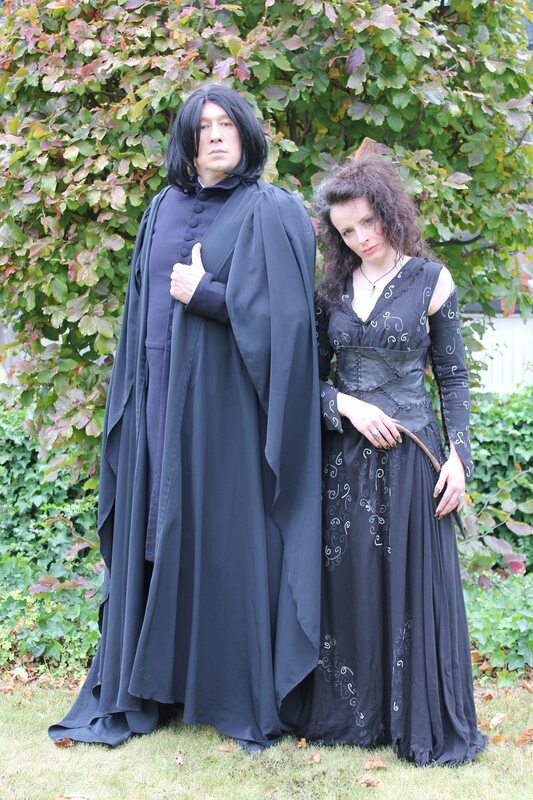 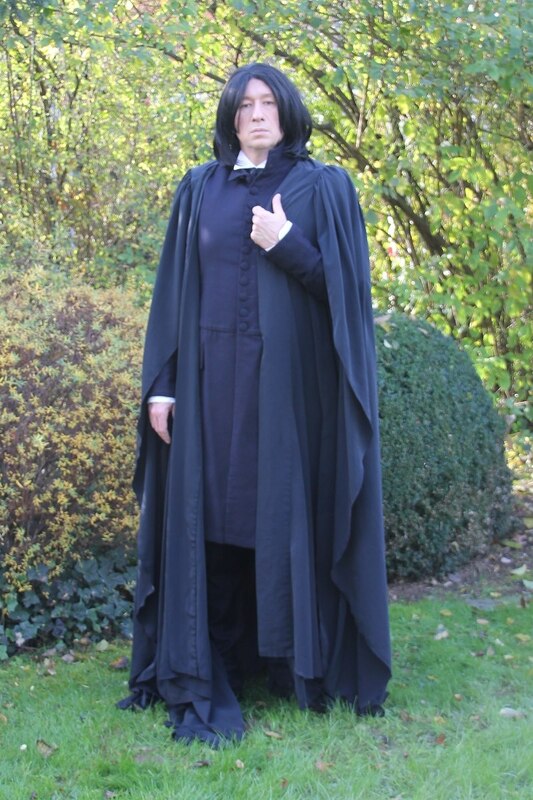 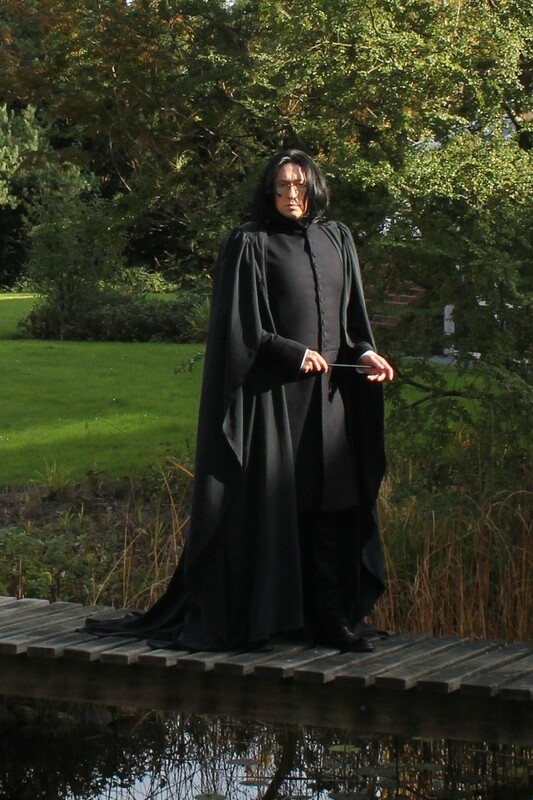 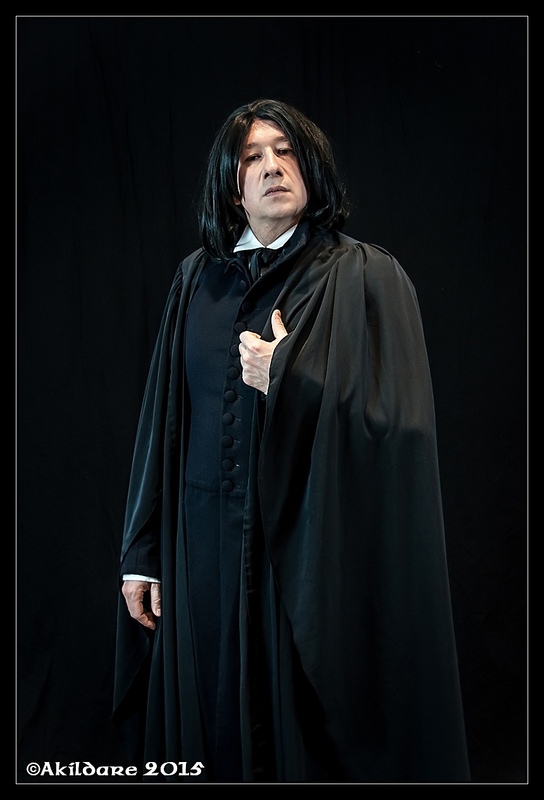 He once had made a complete Snape garment for himself, but then he lost interest in this garment, presented me with his robe and made a new frock coat for me to complete the garment again. 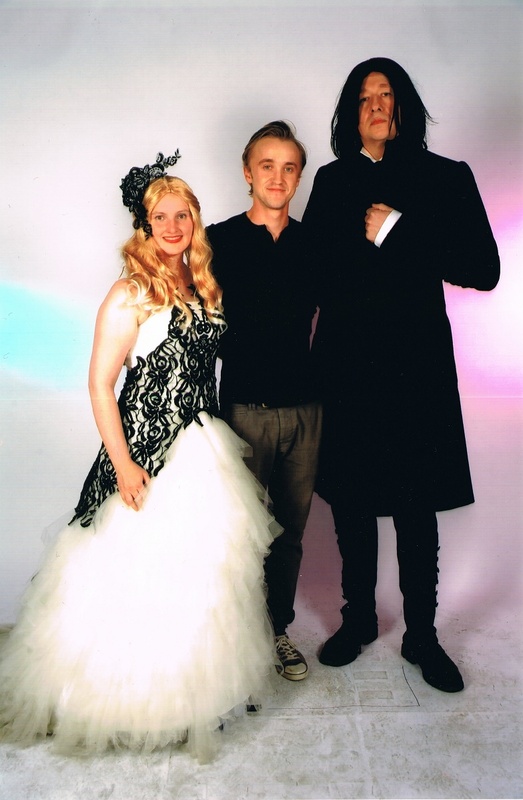 Many thanks again, Sven! 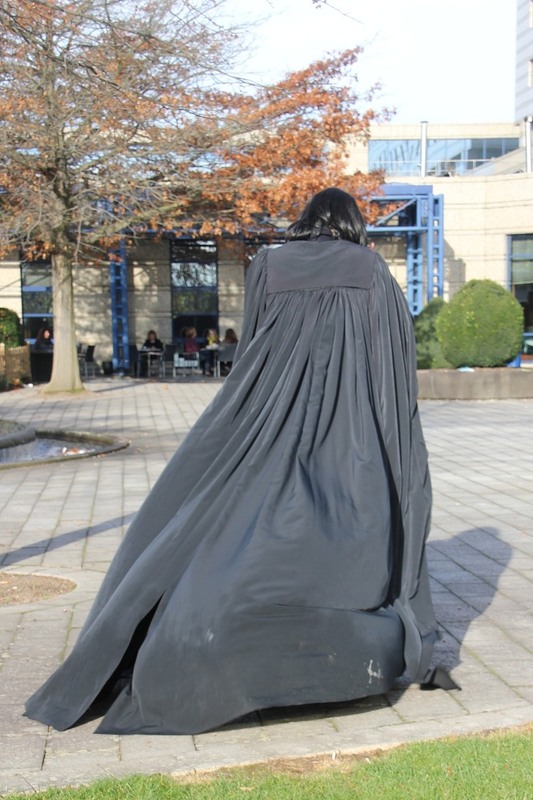 Massimo Gherardi, Andreas Kinder and Kathrim Lembcke, thank you for the pictures!